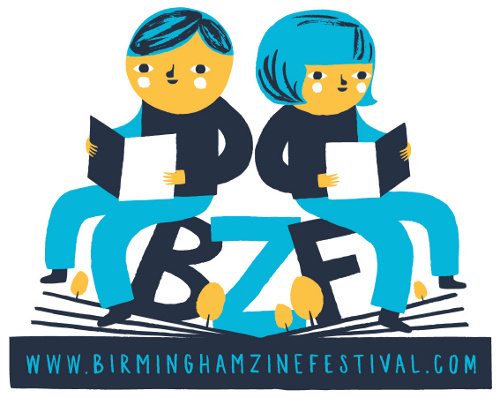 BZF (formerly Birmingham Zine Festival) is back for its third annual festival from 12th-15th October and once again – though for the final time – I’m happy to be part of the team organising it! All of the events are still being planned, but as usual there’ll be the Independent Publishing Fair which has over 30 exhibitors!. All other events and information can be found on the main website. If you’re a social media use why not “Like” and “Follow” BZF on Facebook and Twitter.